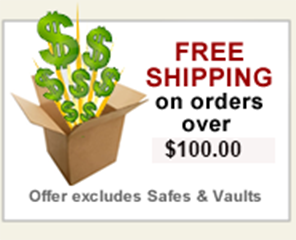 Our line of security safes are best used for the home or the office and are designed to hold jewelry, cash, passports, and other valuable items. The safes come with a combination dial or a programmable keypad, steel pry-resistant door and body and live-locking bolts. If you can't find the specific security or burglary rated safe that you are looking for – call us at 855-362-9090. It is our commitment to getting you quality safe that meets your needs at a great value, we’ll do what it takes to find it and deliver it to your doorstep.